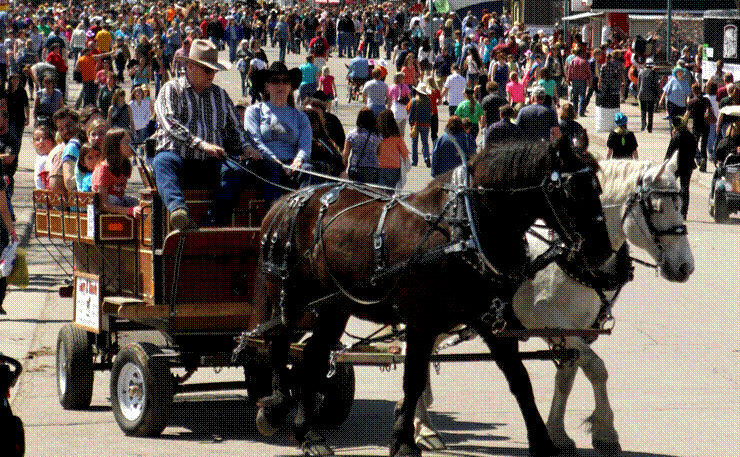 Expo-goers are encouraged to enjoy the free pony, horse and wagon rides provided all three days during Expo! 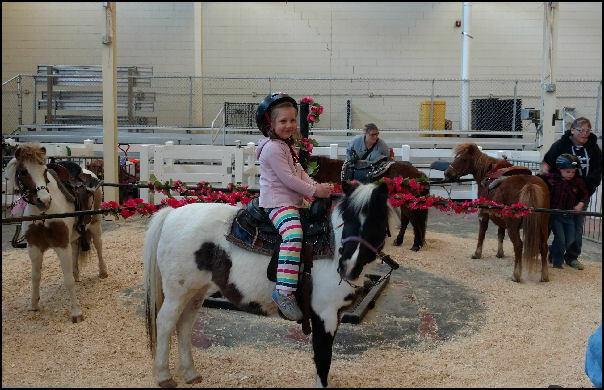 The pony and horse rides are in the Sheep Barn from 9am to 5pm Friday and Saturday, from 9am to 4pm on Sunday. 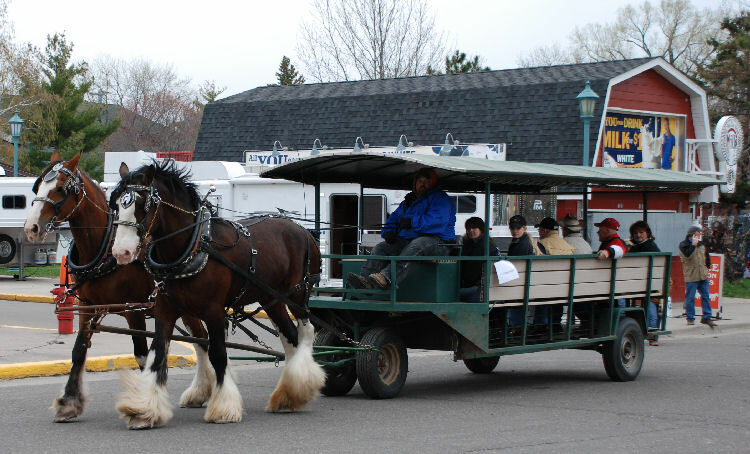 The wagon rides move up and down Judson Avenue all day from 9am to 8pm Friday and Saturday; from 9am to 5pm on Sunday. 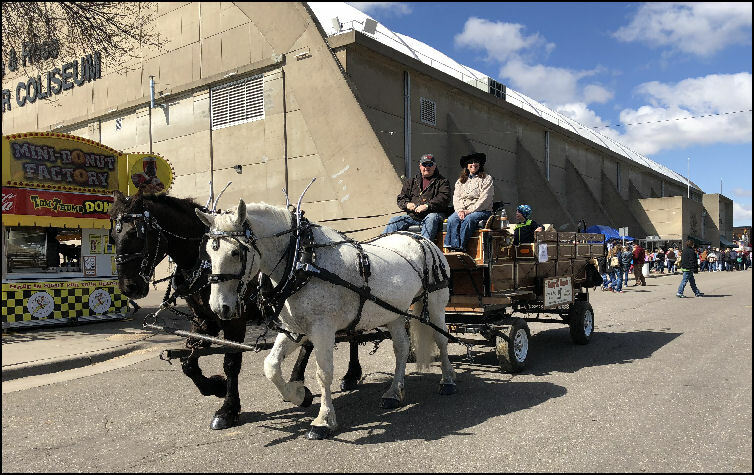 Meet these and more beautiful horses at the horse rides in the Sheep Barn where handlers will offer hand walked rides for no additional cost. THERE ARE INHERENT RISKS IN BEING ON OR AROUND HORSES INCLUDING SERIOUS BODILY INJURY AND DEATH. THESE RISKS ARISE FROM THE FACT THAT ANY HORSE MAY ACT UNPREDICTABLY, AND THAT ALL HORSES ARE CAPABLE OF SUDDEN, UNEXPECTED, AND POTENTIALLY DANGEROUS MOVEMENTS. 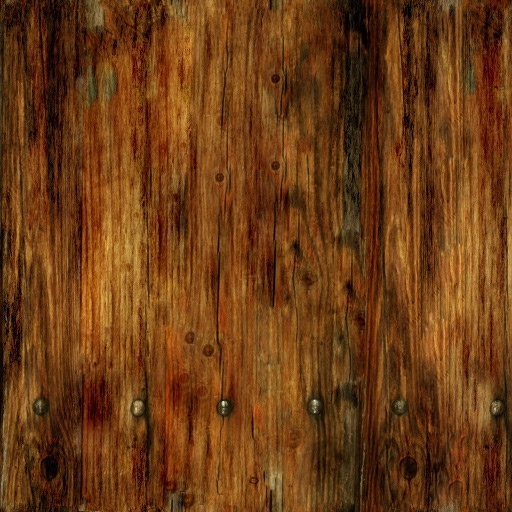 ALL HORSES ARE EASILY FRIGHTENED BY SOUND, MOVEMENT, UNFAMILIAR OBJECTS, ODORS, PERSONS, OTHER ANIMALS, NATURAL HAZARDS, AND ARTIFICIAL CONDITIONS AMONG OTHER THINGS AND MAY RUN, BOLT, BITE, BUCK, OR KICK WITH NO WARNING AS A RESULT. SERIOUS BODILY INJURY, PROPERTY DAMAGE, OR DEATH MAY RESULT WHILE PETTING, FEEDING, WATERING, BRUSHING, TACKING, SADDLING, MOUNTING, DISMOUNTING, SHOEING, VETTING, RIDING, OR OTHERWISE BEING ON OR AROUND ANY HORSE. 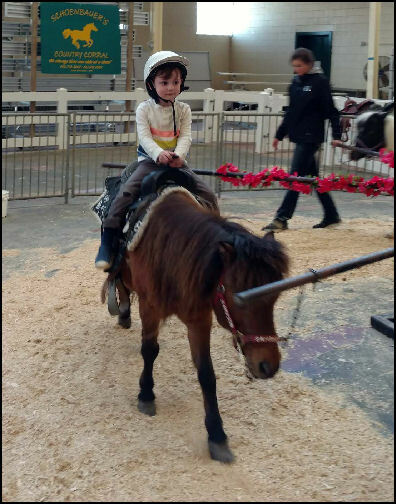 EACH PARTICIPANT OR FOR CHILDREN UNDER AGE 18, THEIR PARENT/ LEGAL GUARDIAN MUST READ AND SIGN A RELEASE BEFORE RIDING, OR PERMITTING THEIR CHILDREN TO RIDE.